Do you find it hard to turn off? Well true blissful relaxation is just a stones throw away. Trust this massage to put both your thoughts and body into complete rest. 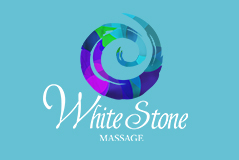 Using hot local basalt stones your body is massaged in a calming, soothing motion and then the stones are placed onto important energy centers. Thought to have originated in North America this ancient form of relaxation will melt all your cares away. Not advised to have a busy day planned after you receive this treatment! It will leave you deeply relaxed, content and later totally rejuvenated.